The sheep in my flock are of various breeds and cross breeds. I think of my flock as a blending flock. Mostly they are longwools and longwool crosses. The qualities I look for are hand, color and luster. I love combining different fiber qualities to make a final yarn blend. Each fleece offers a different essential element, both visually and in hand. I don't focus on flock uniformity, but rather on the different opportunities they offer for a final experience. 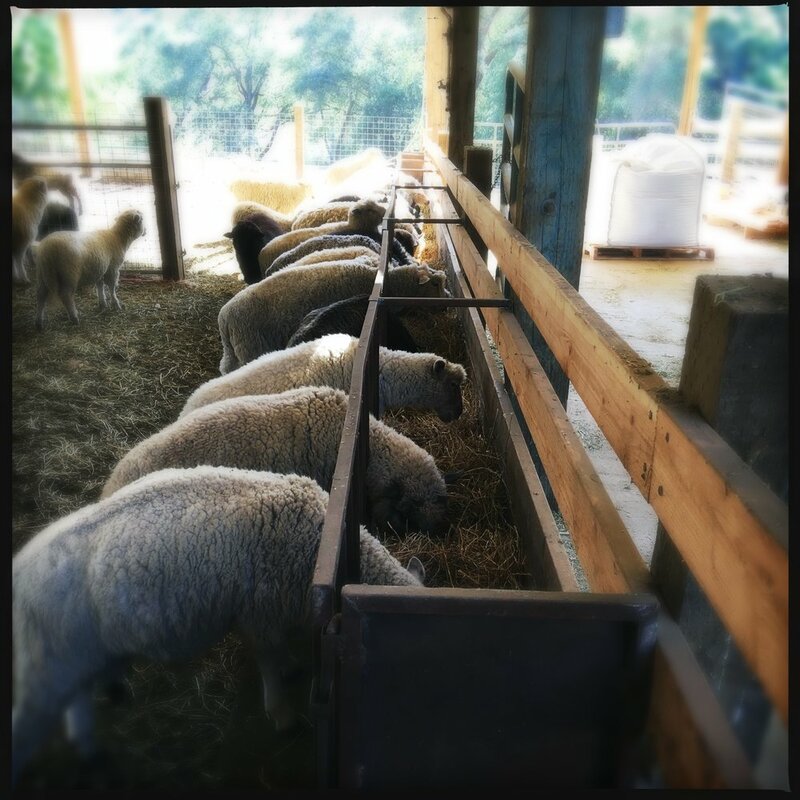 The breeds and crossbreed sheep are influenced by the following breeds: California Variegated Mutant (CVM), Romney, Blue Faced Leicester (BFL), Wensleydale, Shetland, and other various breeds crossed into this foundation. Often I put together a breeding group with similar qualities and cross them together with one special ram to produce a certain quality or color. Most of all, I continually try to enhance the overall feel and color of the flock.